Carolyn Frank is a partner in the Roseville office of Cole Huber LLP, where she focuses on civil litigation. Carolyn represents public agencies in matters that pertain to civil rights, labor and employment, municipal taxation, and public safety issues, among others. While in law school, Carolyn clerked for the Honorable Justice Kathleen Butz at the California Court of Appeal, Third Appellate District. While there, Ms. Frank gained experience in both civil and criminal appeals. Additionally, Carolyn clerked at the Pacific Justice Institute where she worked with nonprofit organizations on maintaining their tax-exempt status and worked to defend students alleging First Amendment rights violations. After graduation, Carolyn clerked for the Honorable Garland E. Burrell, Jr. in the Eastern District Court of California. During her clerkship, she gained experience in a wide range of civil litigation cases. At Cole Huber, Carolyn was a principal member of the successful trial team that defended a civil action brought by a former Deputy Sheriff against the County of Madera. In another County of Madera case, she second-chaired a multi-week jury trial to a defense verdict where a Sheriff’s Sergeant alleged gender discrimination against the County. Carolyn has been one of the primary team members that successfully handled, on behalf of the County, significant multiple actions between the County of San Joaquin and the City of Stockton relating to Emergency Medical Services, including emergency dispatch and advanced life support issues. Carolyn also has appellate success, representing the Madera County Assessor on multiple occasions before the Fifth Appellate District against a multi-billion-dollar corporation in an ongoing property tax dispute. 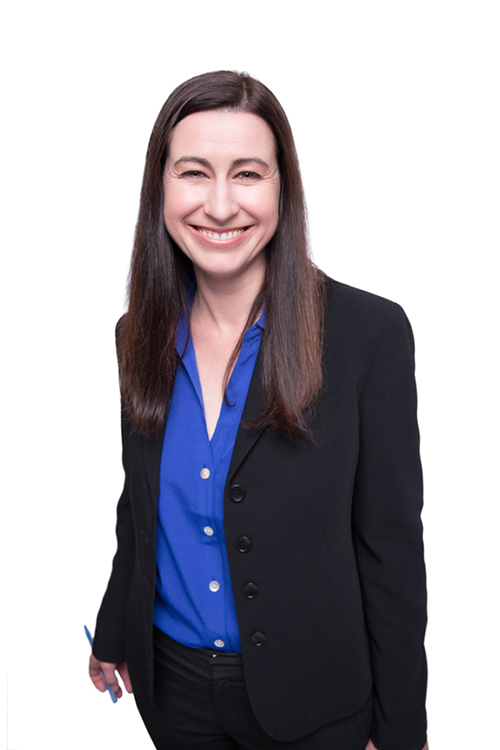 Carolyn was recognized as a Rising Star by Super Lawyers Magazine in 2016, 2017 and 2018. After graduating from the University of California at Berkeley in 2000, Carolyn pursued her law degree from the University of the Pacific, McGeorge School of Law, where she graduated first in her class in 2006. During law school, Carolyn was a member of the McGeorge Law Review staff. Carolyn was also a member of the award-winning Mock Trial Competition Team. In addition, Carolyn was awarded several Witkin awards for earning the highest grade in many of her courses, including Property, Torts, Professional Responsibility, Constitutional Law, Business Associations, Evidence, Wills & Trusts, Remedies, Judicial Arbitration, Election Law, and Issues in Government Lawyering. Carolyn was also awarded the Outstanding Graduating Senior Award, which is given to the graduating senior that the faculty determines made the greatest overall contribution to the law school. Carolyn was admitted to the California Bar in 2006 and is also admitted in the United States District Courts for both the Eastern and Central District. Carolyn spent several years teaching Introduction to Law at William Jessup University. She was also an active member of the Anthony Kennedy Inn of Court for several years, winning multiple awards with her teams. When Carolyn is not in the courtroom she can be found cheering on the Varsity Volleyball team at Rocklin High School or traveling with her daughter’s competitive volleyball team. She also enjoys live theater especially when her son is one of the actors.